A good and unnecessary comprehensive historical overview of the Targaryen Kings. The aesthetic of this book is gorgeous; easily one of the most beautiful books I own. I mean it, the cover art of both editions are stunning, the typography inside the book is beautiful, the font used (Centaur) was easy to read, and most of all, Doug Wheatley’s artworks were simply spectacular to look at. As for enjoyment factor, I really wouldn’t call this an enjoyable read, it was more like a homework reading that I gladly imposed upon myself on my own will. This book took me almost three weeks to read; that’s an extremely long time for me to spend reading on a single book. For a bit of comparison, I finished reading The Crippled God (385k words) in four days and Oathbringer (450k words) in six days. I really thought A Feast for Crows would’ve been the lowest point of the main series. I was wrong because this book didn’t show any sign of improvement. In fact, I thought this was even worse due to the boring setting and unnecessary length of this tome. If it weren’t obvious before, this book displayed Martin’s struggle with writing his main series even more. Realistically speaking, due to the direction of the story in this book, I’m quite confident that A Song of Ice and Fire most likely will never be completed. Intricate world-building on a global scale. 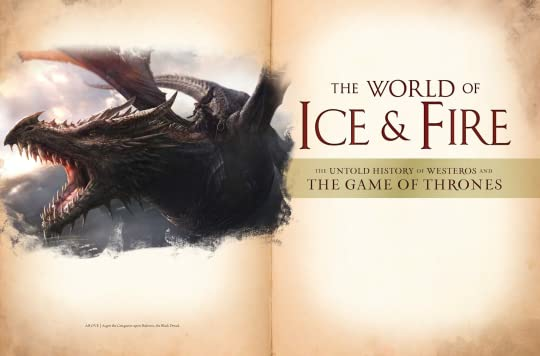 The World of Ice and Fire: The Untold History of Westeros and the Game of Thrones is a companion book to A Song of Ice and Fire series. 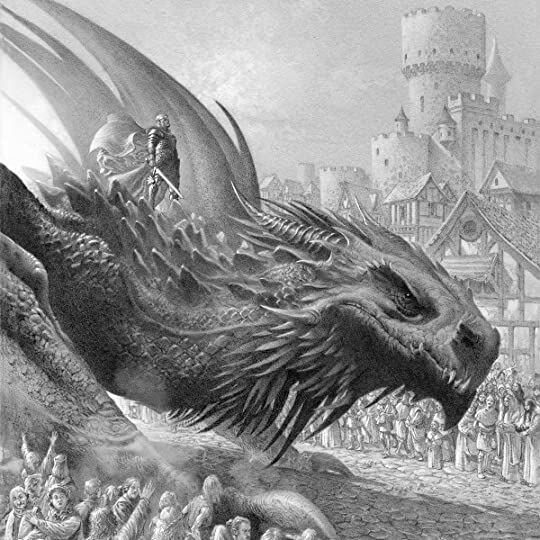 Martin’s collaboration with Elio Miguel García Jr. and Linda Maria Antonsson resulted in a comprehensive history behind the land of Westeros and beyond. Although I spent two weeks reading this book, do not think that I didn’t enjoy reading it. The World of Ice and Fire is an imaginary history book, and the prose certainly felt like reading one. The book is written from the perspective of an in-world maester, and I read this book exactly the same way I read our real-world history book; bits by bits instead of my daily 150-300 pages reading pace. Upon finishing it, I truly believe that the fans of the main series will have to read this companion book. A Feast for Crows was quite good but it’s far below the incredible standard set by the previous three books. This was unbelievably amazing. A Storm of Swords could actually be the height of George R. R. Martin’s writing career. I know I haven’t read A Feast for Crows, A Dance with Dragons, or the extra books of the series yet, but realistically speaking, it would be bloody difficult for Martin to top what he has achieved in this book.